i.e. 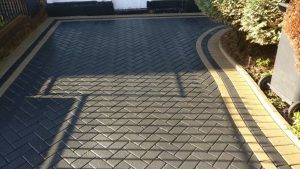 Block Paving Tarmac, Concrete etc. 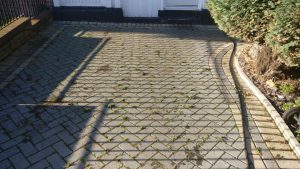 The cleaning of Driveways is normally done with high pressure (4000 PSI), although some chemicals may be used if necessary. The cleaning will remove all mold, mildew, dirt, etc. After washing, the Patio and Driveway will look excellent.